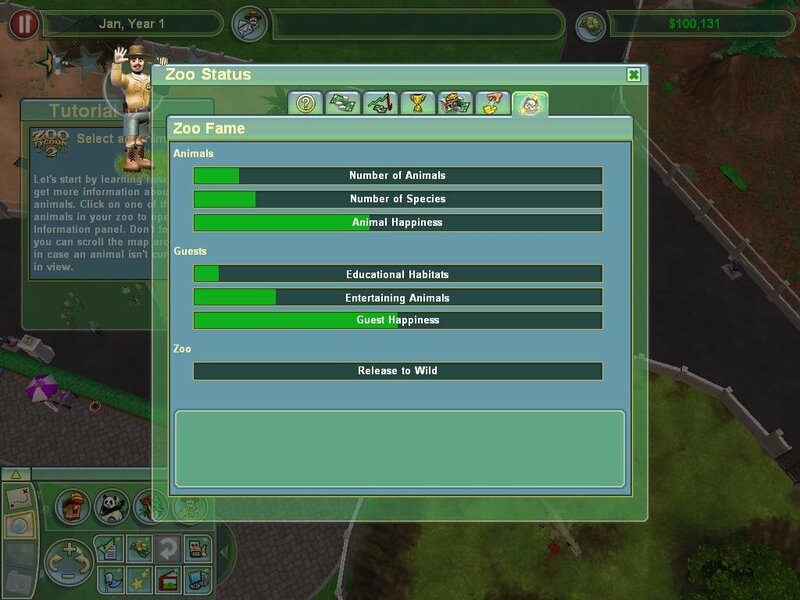 The most noticeable change in Zoo Tycoon 2, Microsoft’s sequel to their moderately successful business sim series, is the 3D engine. 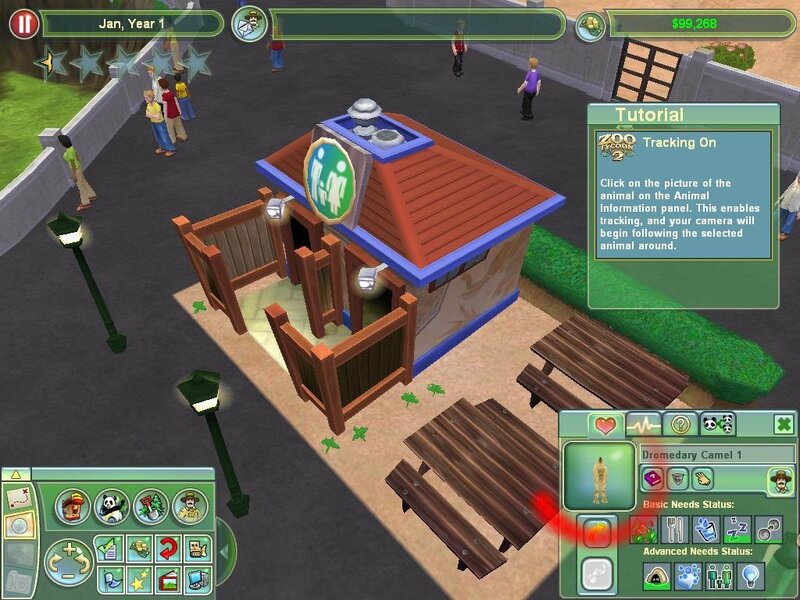 That’s the most obvious, but lesser eye-popping details also upgrade this sequel. 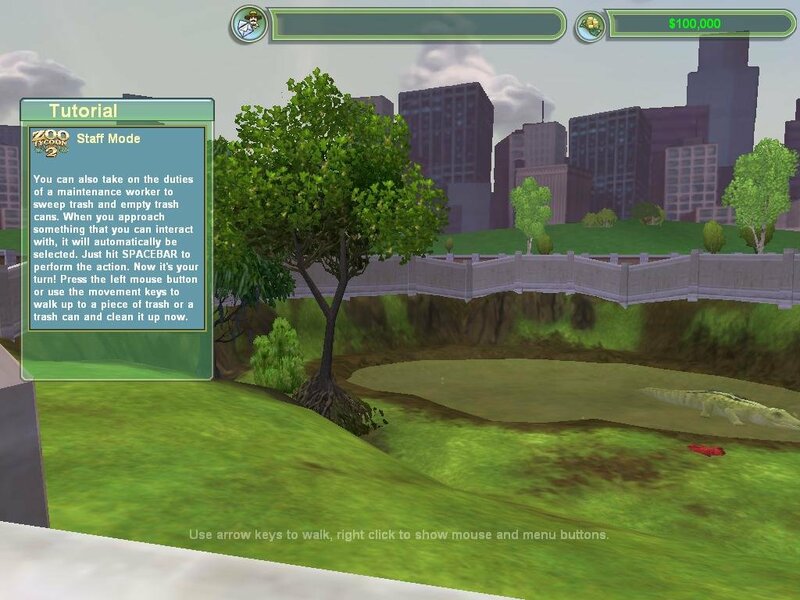 The game features a single-player campaign as well as an open sandbox mode. 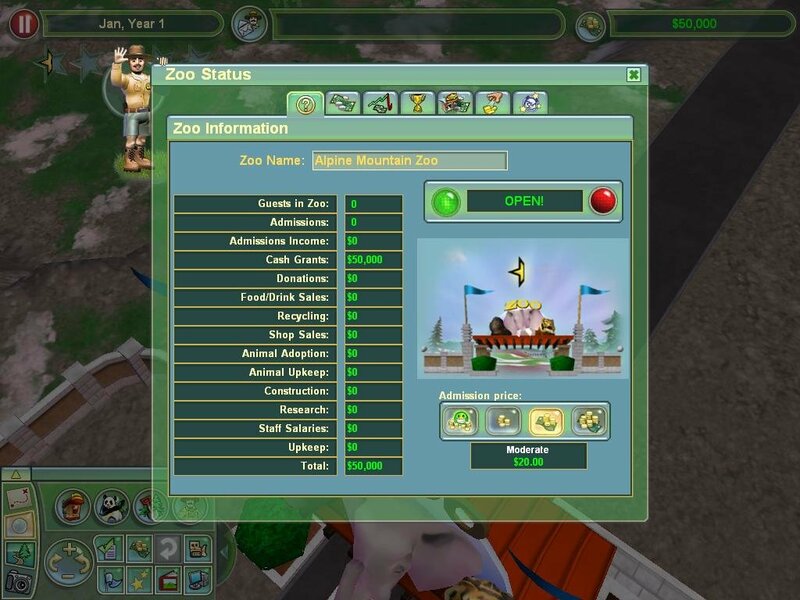 More depth is brought to the series thanks to a large range of options, including the first-person zoo guest mode, a zoo keeper mode and a photographer mode (you can’t leave a 3D engine go to waste, after all). 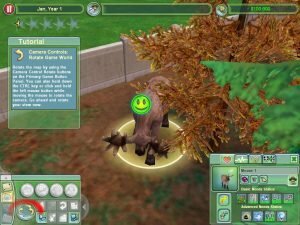 As with the first game, this ‘tycoon’ sim allows you to create your zoo’s exhibits with the habitat editor and biome brush, which are used to terraform the landscape. 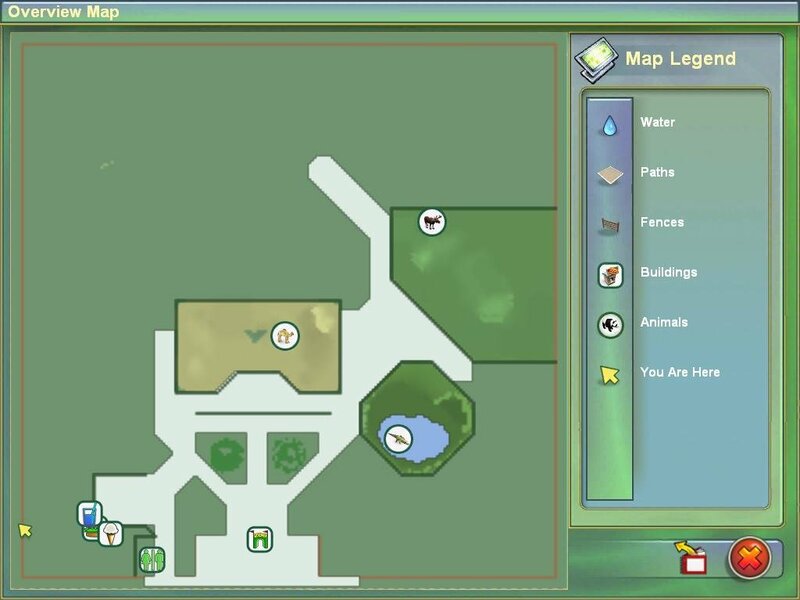 Getting the right habitats for each animal is essential, since having plenty of room to move and stuff to do will ensure that each animal is happy. 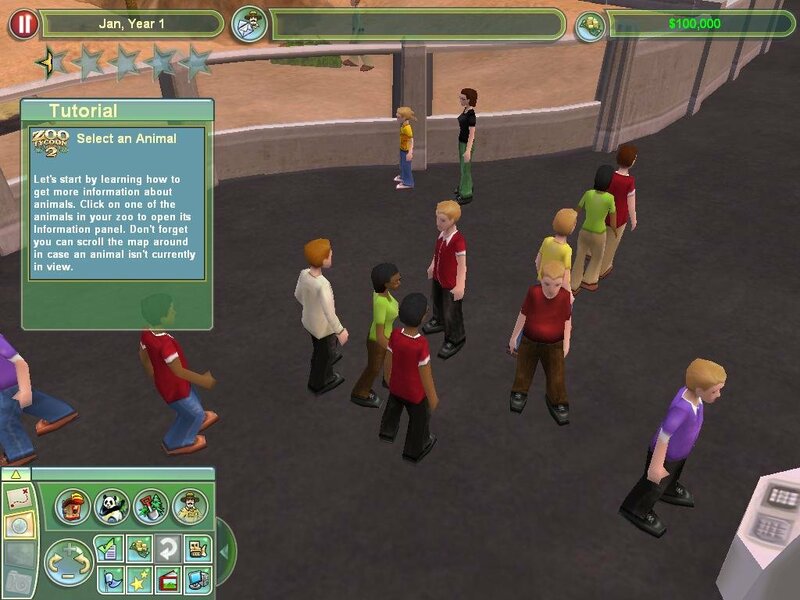 The crowd will also spend more money on their favorite animals. 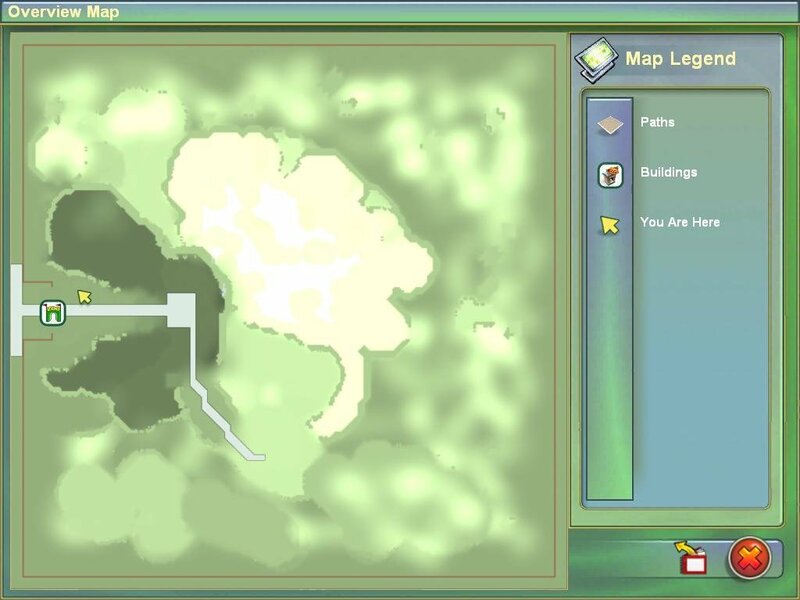 You have extra things to keep track of. 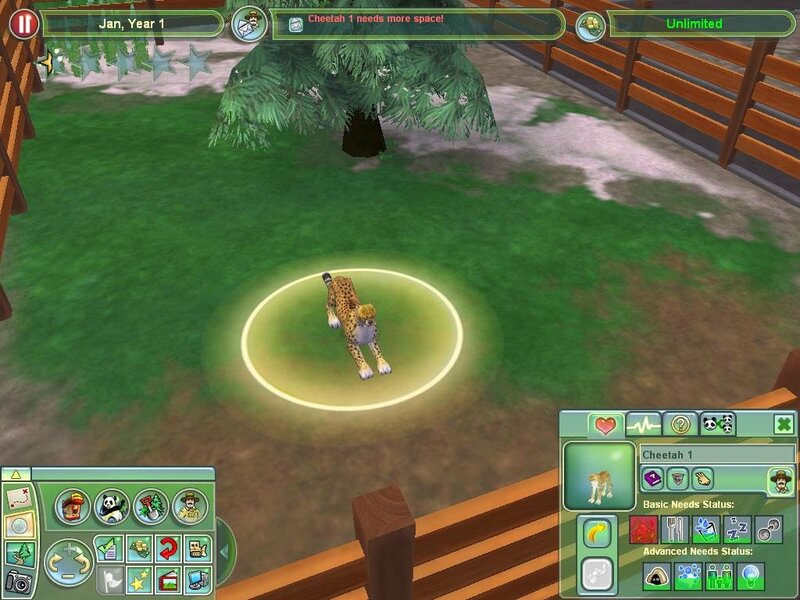 For example, you can appease conservation groups by letting some animals back into the wild. 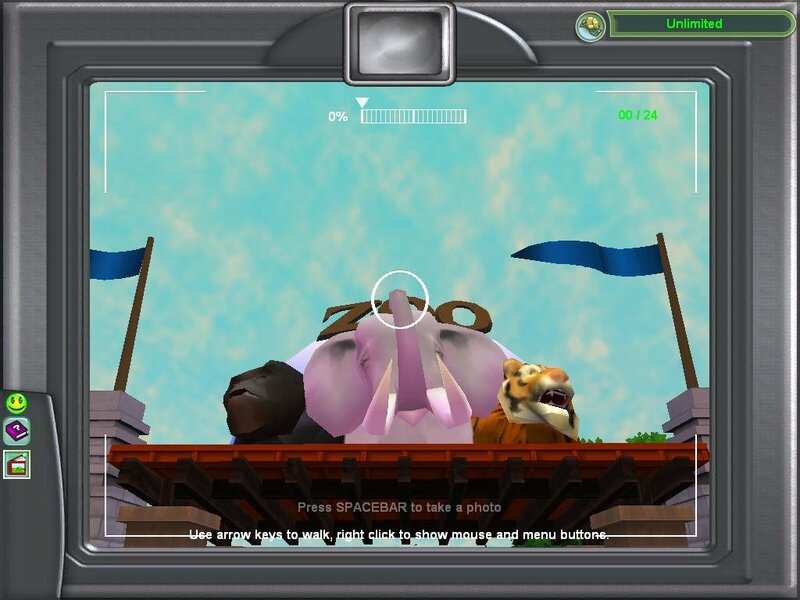 In the full 3D environment, each animal, building, and scenery object is rendered with much greater detail. 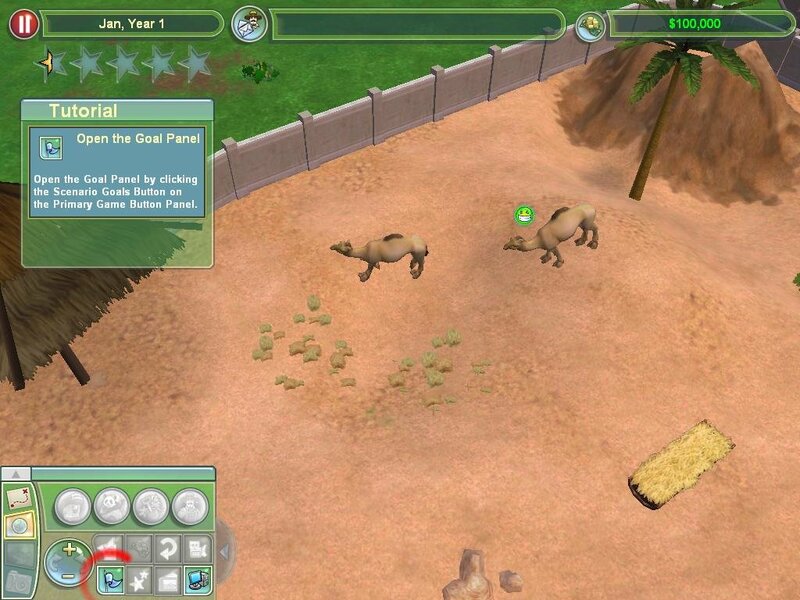 You’ll also be able to view the world you create from a variety of perspectives, including standard overhead; and thanks to the new zoom option, you’ll be able to experience the “just a breath away” feeling that only real-life animal trainers might encounter. 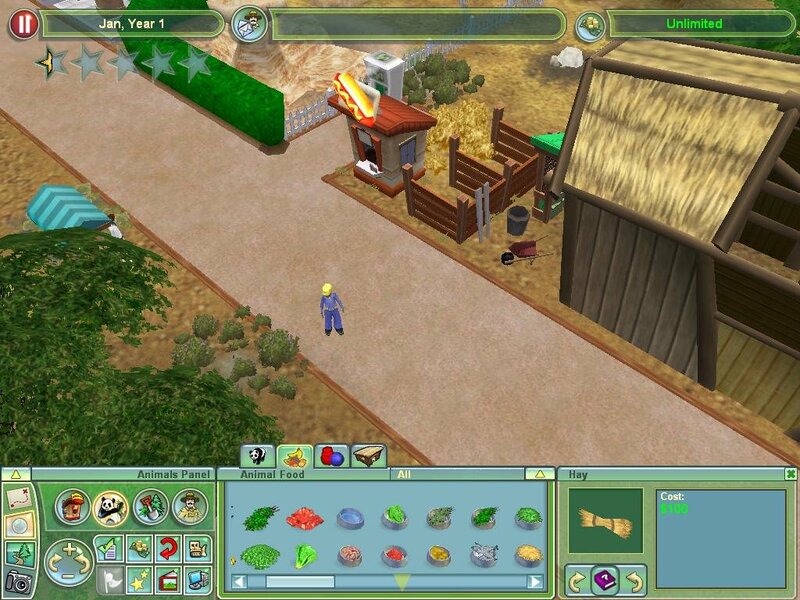 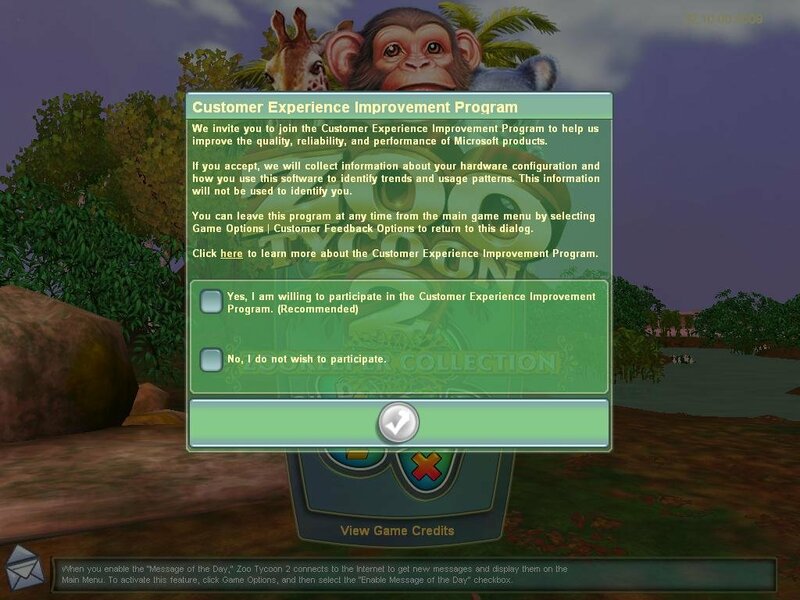 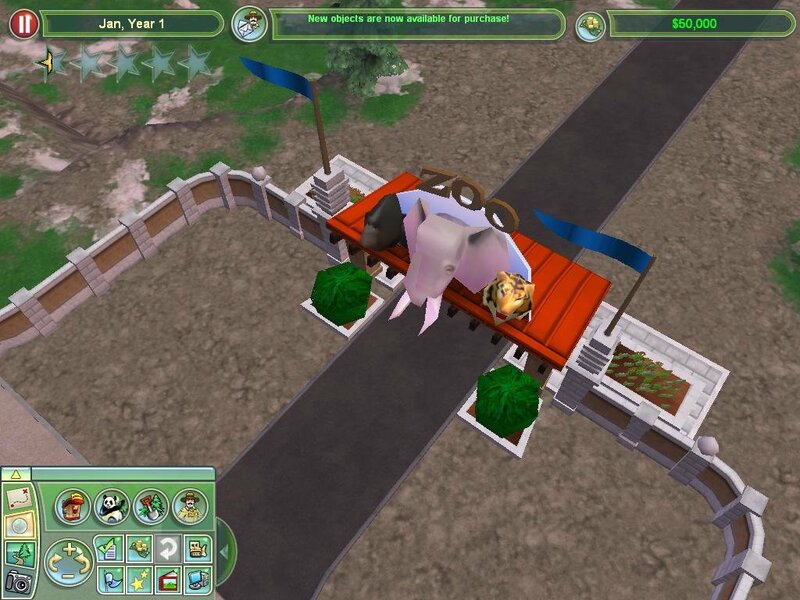 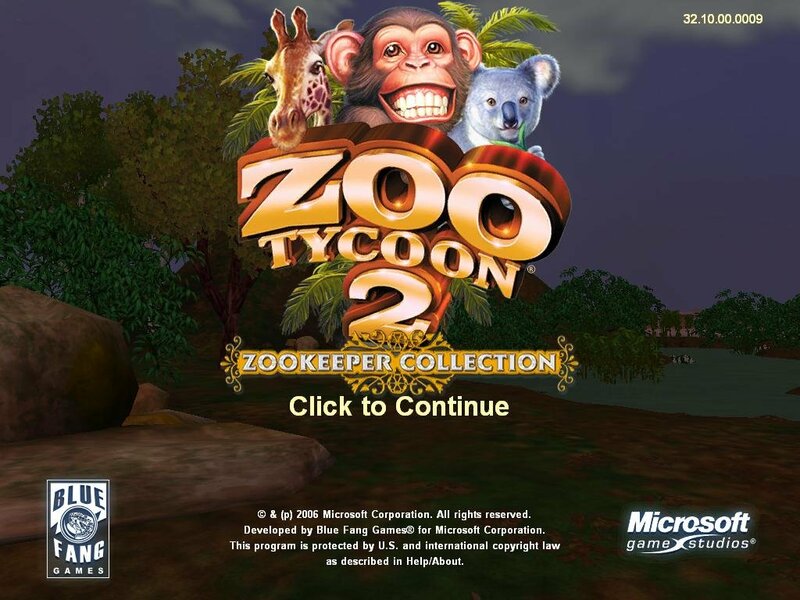 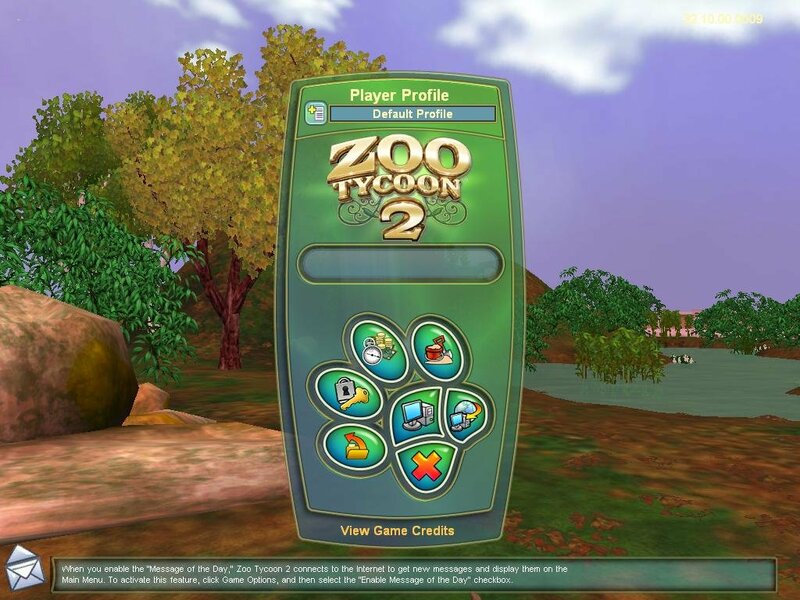 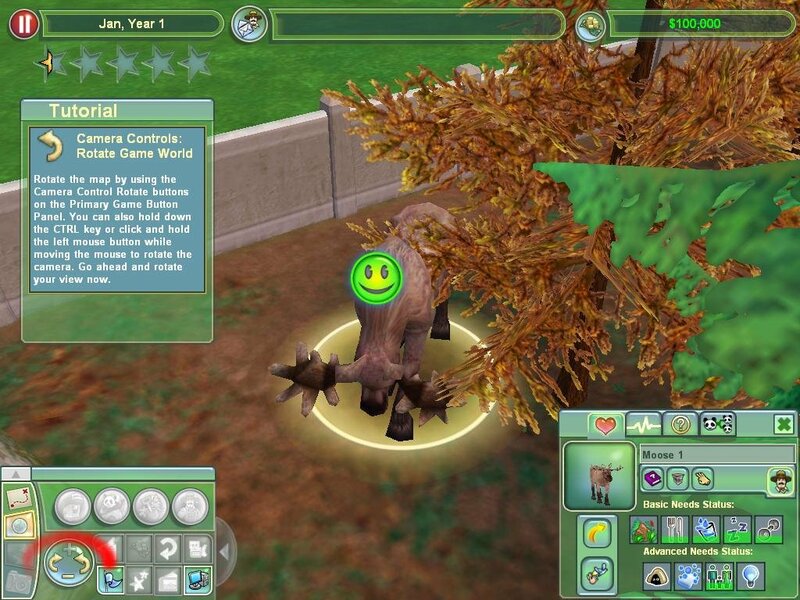 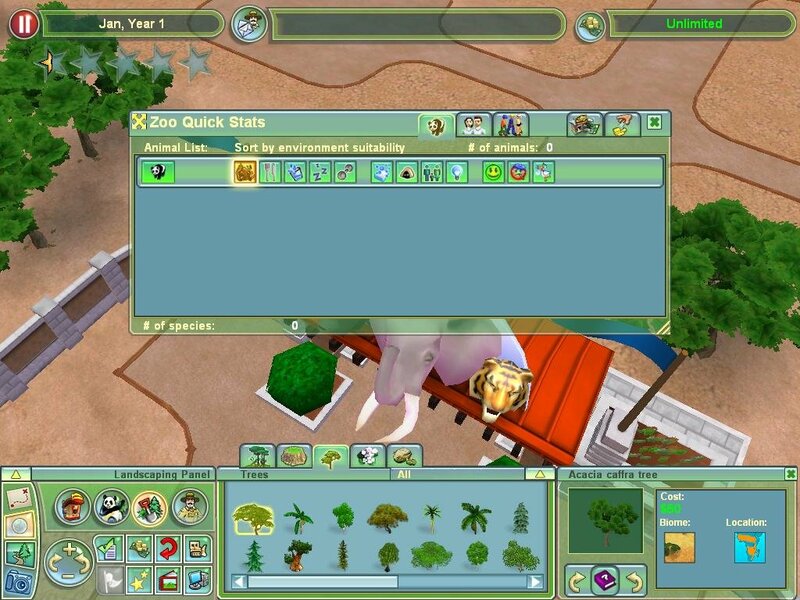 A photographic gameplay mode was much vaunted, since it let you take screenshots and post them on the official Zoo Tycoon 2 website. 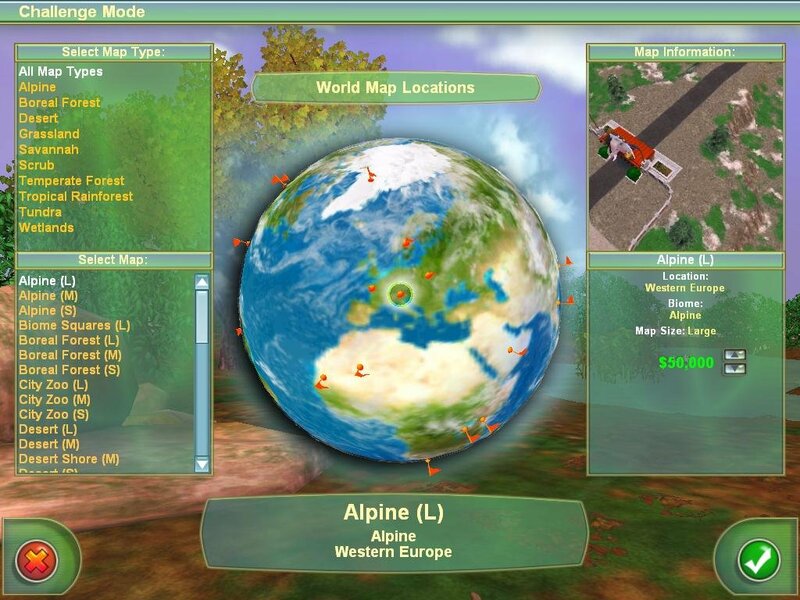 These were clearly the days before FRAPS. 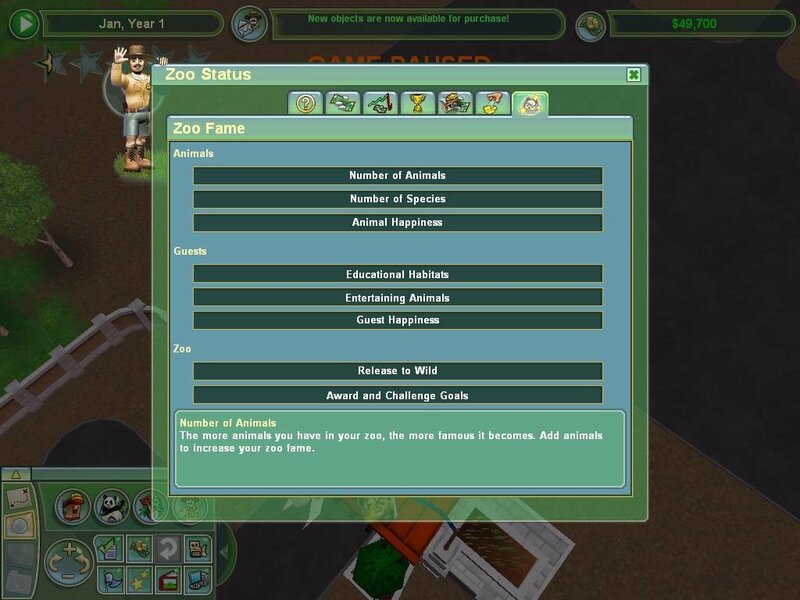 Overall, Zoo Tycoon 2 is about as enjoyable as the first game, although it veers too much on the simple side to please the more serious Roller Coaster Tycoon crowd. 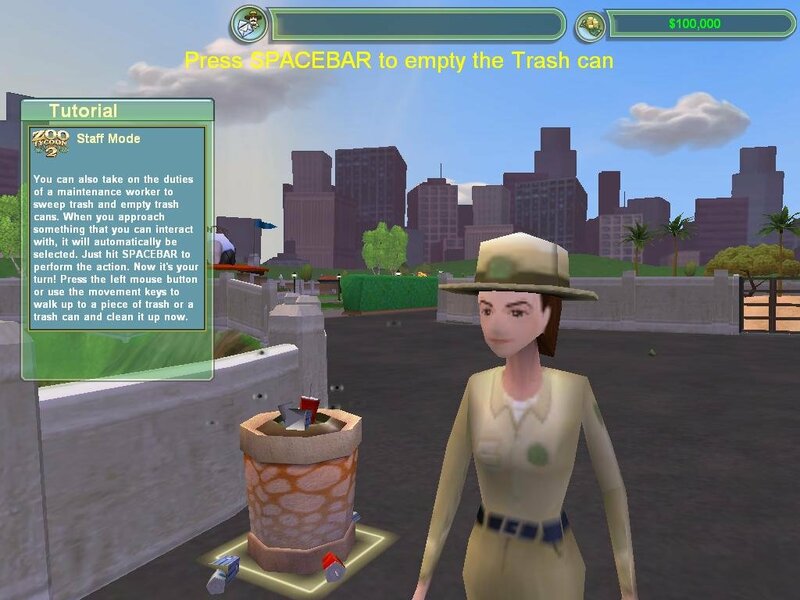 It’s a tycoon lite sort of experience, really.